TALK CLEAN TO ME: Zombies – Do they exist in real life? With Halloween only a few days away, I thought this was a perfect time to talk about Zombies. For years, zombies have dominated science fiction. These creatures, the walking dead, don’t actually exist, right? Wrong! There are in fact several very real life diseases that could and can make you act like a zombie. To set the stage, let’s first define what we think the characteristics of a zombie are. There obviously is no validity that people who are actually dead walk around but there are diseases that make people ACT like the walking dead. Other traits of interest would be rotting or dead flesh, a trance-like state, inability to communicate other than perhaps moaning, a slow shuffling gait and if we’re lucky the penchant for biting people. So, what are the diseases that can cause you to ACT like a zombie? Sleeping Sickness – is prevalent in Africa and is caused by the parasite Trypanosoma brucei, which is transmitted by the tsetse fly. In the late stages of the illness, once the parasites have invaded the brain, victims find it hard to concentrate, become irritable, their speech is slurred and they stop eating. Most are unable to sleep during the night and find it almost impossible to stay up during the day eventually reducing them to a zombie-like state before going into a coma and dying. Those that survive are generally left with irreparable brain damage. 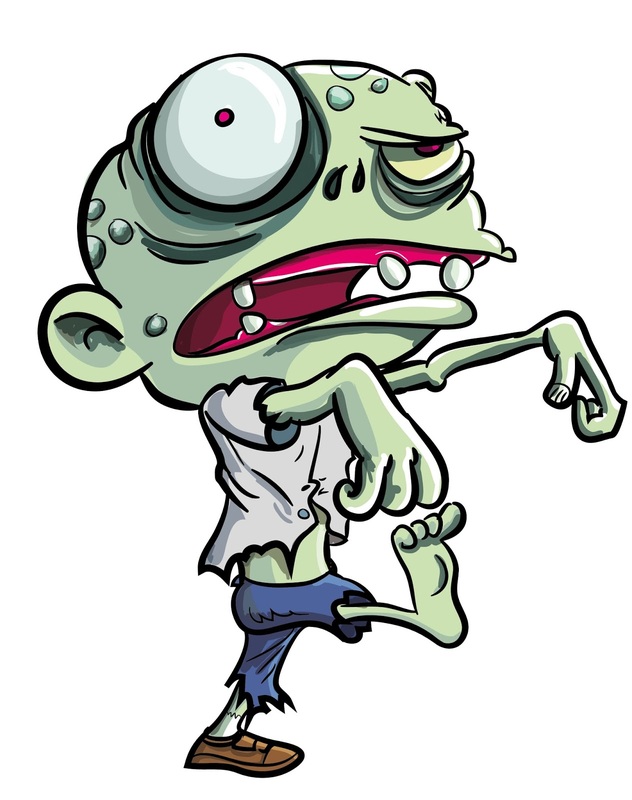 Rabies – while not a disease that is truly going to make a person bite someone, it can mimic some of the conditions of the zombie’s lust for brains. The rabies virus causes massive inflammation of the brain and is transmitted by bites from infected animals. Symptoms of rabies can include full or partial paralysis, mental impairment, agitation, strange behaviour (which I would like to be better defined as many people accuse me of acting strange....), mania and delirium. It’s true, there aren’t many people with rabies going around and biting other people, but many rabid animals become very aggressive and attack so....I suppose if a person who had a tendency toward aggressive behavior got rabies, it would be possible! Dysarthria – is a disorder affecting the motor controls of human speech. It’s neurological in its origins so it ties in with the brain-based aspects of zombie lore. There are a number of causes of dysarthria, but all are characterized by a malfunction in the nervous system that makes it difficult to control the tongue, lips, throat or lungs which then leads to difficulty in articulating and can cause the inability to communicate more than unintelligible noises – quite like the moans and groans of zombies. Leprosy – is caused by a bacterium, Mycobacterium leprae. Cases of leprosy have been reported going back more than 4000 years, and considering a common feature of zombies is their rotting flesh and decaying body parts, it would seem that leprosy and its similar sounding symptoms would be a natural inspiration for such stories! 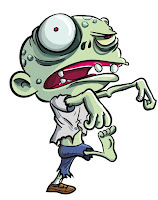 It is a myth that leprosy causes body parts to fall off, but it can cause damage and numbness which could cause slow, shuffling walk similar to the gait we associate with zombies. The skin lesions that are probably the key characteristic of leprosy with some imagination, give skin the diseased, decaying appearance we associate with zombies. I hope you’ve enjoyed this Halloween trip down zombie lane!